Commercialization and distribution of electric material. Furthermore, since 2008 Electroclub has had a shared logistic hub, with a warehouse of more than 10.000m² combined, and hundreds of references available within 24 hours. In turn, Electroclub is a member of Imelco (Internacional Marketing Electrical Corporation), the first electrical materials distribution consortium of independent companies in Europe, Australia and USA. Suministros Eléctricos Gabyl also belongs to Adime (Asociación de Distribuidores de Material Eléctrico de España) a professional non-profit organization which aims to encourage maximum collaboration and efficiency in business relations between manufacturers and distributors of electric material, electronics and lighting. 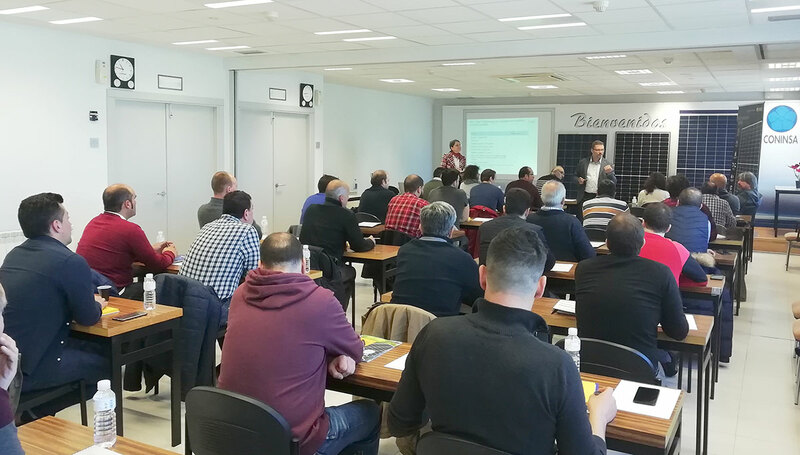 Adime encompasses about a hundred electrical materials distribution companies with almost eight hundred sales locations spread out across the entire Spanish territory. Finally, Suministros Eléctricos Gabyl is amember of ADEN (Asociación de Empresarios Distribuidores de Material Eléctrico de Navarra) at the provincial level. In addition Suministros Eléctricos Gabyl is partner of ADEFAN. The Family Business Association aims the defense and development of the family business in Navarra. “ADEFAN ” is defined as apolitical and independent without prejudice to the individual opinions of the members. It is an economically independent association whose budget is planned to be covered with their associated fees . Not intended to cover other areas of local or sectoral associations. To be the company playing a leading role in the market change, joining the goals and the interests of our customers and providers by using a team comitted and oriented to excelence in service. Become a leader in the market of electric equipment distribution with a highly commited staff. Presenting solutions with added value and innovative sustainable solutions to meet responsibly with integrity every client demand.